Scouts of all ages have been busy taking part in parades to mark the occasion. The Sunday nearest to St. George’s Day is an annual occasion for Scouts to hold ceremonies when they reaffirm their Promise and acknowledge the Scout Law in a national act of dedication. “He is also the Patron Saint of Scouts everywhere. Therefore all Scouts should know his story. St George was typical of what a Scout should be. 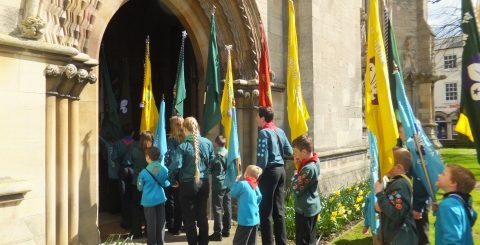 To view photos of Lincolnshire Scouts celebrating St George’s Day, visit our Facebook Page.